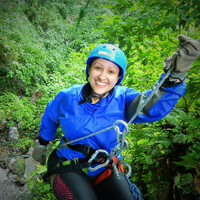 Graciela is our Destination Expert in Costa Rica. "Our trip was very well organized, and everything went very smoothly. Graciela was very helpful and ...". "All busses were punctual, organized excursions could be longer, transfer time from one location to a...". 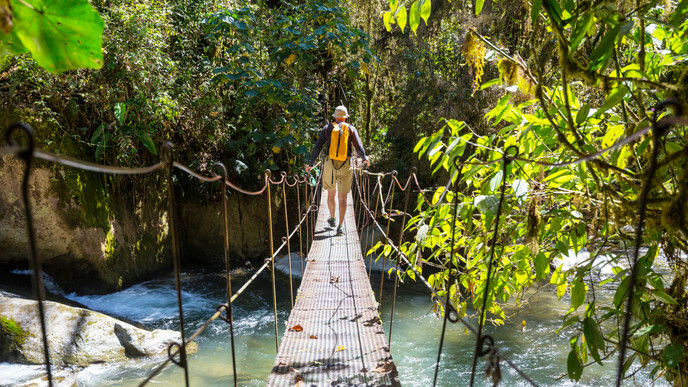 Get ready for a 15-day adventure as you explore Costa Rica off-the-beaten-path. Once in the country of the Pura Vida, you will go on a fantastic self-drive road trip covering different destinations, such as Arenal Volcano, Sarapiqui Rain Forest, Turrialba Volcano, the Talamanca Mountain Range, and the Dominical and Uvita beaches on the Pacific Coast. These places offer plenty of options for hiking and feeling the peace of the country! Once you arrive in beautiful Costa Rica a representative will be waiting for you at the airport and will provide all the travel documents you need. A transportation service will take you to your hotel located in the heart of the metropolitan area of San José. After breakfast, a representative of the car company will deliver your car to your hotel. Then, you will drive through the Northern Plains of the country, seeing their exotic tropical flora and different plantations, before you arrive at La Fortuna, the little town located at the foot of the impressive Arenal Volcano. Today you will have a free day to enjoy the wonders of the Arenal Volcano. After breakfast, go on a hike in the 1968 lava fields. Along the hike you will have the chance to discover the abundant flora and fauna; your guide will tell you all about the Arenal Volcano history and activity. La Fortuna and the Arenal Volcano surroundings offer a lot of other optional activities like zip lining, waterfall rappelling, white water rafting or just relaxing in one of the many hot springs in the area. After breakfast, you will leave the amazing Arenal Volcano to drive to Sarapiqui. Sarapiqui is known throughout Costa Rica for its rich biodiversity, as well as for being the dream destination for adventure seekers. The afternoon will be free for you to explore your surroundings. Today you can spend the day as you desire, and there are many things to do in Sarapiqui! Why not hike in the Tirimbina Rainforest Center and see all the nature and wildlife that this paradise houses? You can also arrange activities such as birdwatching, bat watching, water rafting in the Sarapiqui River, and taking the chocolate tour or coffee tour. Wake up and enjoy a delicious breakfast in the rainforest. Then, drive across 3 provinces before you reach the Turrialba Valley, located in the basin of the volcano with the same name. Here you will have incredible views of the valley and the volcano. Turrialba is known for many local products such as cheese, coffee, as well as for its sugar cane plantations and friendly people. During your stay in Turrialba, you can visit many nearby places and go on some hikes to explore this amazing destination. You can visit the archeological site at Guayabo, hike to La Marta Wildlife Refuge, admire the Turrialba Volcano or go on a coffee tour at Golden Bean. Turrialba is also very famous for the most amazing water rafting of the country at the Pacuare River. This destination is home to different ecosystems and huge biodiversity that you will thoroughly enjoy. Continue your adventure from Turrialba into the Talamanca Mountain Range to reach San Gerardo de Dota. On the way, you can make an optional visit to the highest active volcano in Costa Rica, the Irazu Volcano. Afterward, continue to the old capital, Cartago, where you can visit the most famous church in the country, the Nuestra Señora de los Ángeles Basilica. In the late afternoon, you will reach San Gerardo de Dota, a small community located in the heart of Talamanca. Enjoy the cool mist in this valley surrounded by wonderful cloud forests and full of huge oak forests, which are the habitat of one of the most beautiful birds in the world, the Quetzal. San Gerardo de Dota is one the best places to feel the peace and serenity of the forest. You can hike through the mountains and see amazing landscapes. 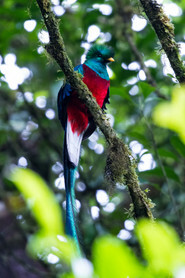 We strongly suggest taking the optional guided Birdwatching Tour to look for the beautiful Quetzal. This activity takes approximately two hours. Get ready to start your journey to Dominical, on the Pacific Coast. Dominical has become a favorite destination for many tourists in the last years. Along the coast, you will find miles of isolated, unspoiled beaches and beautiful bays which are perfect for surfing, fishing, and diving. Spend today enjoying the coast. The most famous beaches to hike and relax are Hermosa beach and Uvita National Park, you can also take a tour at Hacienda Baru. You may also opt for a zip line tour, hiking, bird watching, and night tours. Do not miss the opportunity to visit the Uvita National Park, where you will find the famous Whale’s Tail. It's the world’s third-largest sandbank with a length of about 2296 feet and a width of 820 feet. During the low tide, you can walk to its very end. Your entry ticket to the park gives you access to Playa Uvita, Playa Colonia, Playa Ballena, and Playa Piñuela on the same day. Today you can spend the morning at the beach before you start your two-hour drive to Tarcoles, located in the Central Pacific region of the country. On the way there you can see Ara Macaws in the sky and some other birds. Do not miss visiting the famous Manuel Antonio National Park. This park houses three of the four species of monkeys that live in our country. You can also hike and spend some time at the beach. Why not watch an incredible sunset from your hotel? Today you have many possible destinations where you can enjoy many activities. 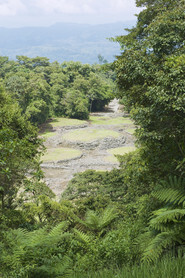 If you decide to go on a hike we recommend you visit the Carara National Park. This national park is a popular birding destination as it has very diverse birdlife. There is a big population of scarlet macaw, an endangered species. Also, you can take a crocodile tour on the Tarcoles River, or rent an ATV, or visit nearby beaches like Playa Herradura, Playa Mantas or Playa Agujas. These beaches are very quiet and perfect for relaxing or walking during the day. Today you can go to the beach in the morning and spend some time relaxing before you head back to San Jose to spend your last night in the country. On the way there you will pass by many beaches and will travel around the mountains. At the appropriate time, check out from your hotel and your private transfer will take you to the airport for your return flight. Have a safe flight and be sure to come visit the beautiful country of Costa Rica again soon!